Our educational booth at the Minnesota State Fair is aimed at teaching fair-goers more about pollinators and their important role in our food system. There are a variety of factors in the decline of pollinators — habitat loss, diseases and parasites, pesticide use, climate change — it’s a long list. 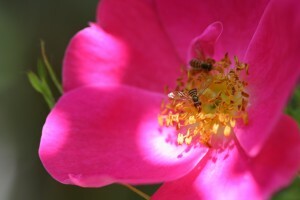 Plant single flowers: Fewer petals equals more pollination. • Grow pollinator-friendly plants. True native plants for your site are best because they are the plants native pollinators developed among. 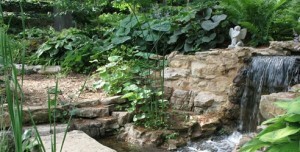 • Choose a mixture of plants for a continuous sequence of flowering from spring through fall. Be sure to include early bloomers, such as crocus and even dandelions, and late blooms, such as asters. • Reduce or eliminate pesticide use. Control pests by incorporating plants that attract beneficial insects. Adding water to your garden will draw in a variety of pollinators — birds, too. • Design a garden with lots of features that pollinators need, including sources of water, mud holes, bits of bare soil and brush piles and other places to nest. • Even small urban landscapes play an important role in supporting native pollinators when there is a diversity of plants and gardeners follow pollinator-friendly practices. Check out our booth at the fair for even more information about how you can help pollinators.